Malayalam legend Mohanlal, who was last seen in the survival thriller Nieraali in Malayalam, will be soon seen in a cameo role in Nivin Pauly starrer, Rosshan Andrrews directorial Kayamkulam Kochunni getting mixed reviews. Last year, the actor had announced that he'll be starring in a mammoth project named Randamoozham, directed by Debutant VA Shrikumar Menon, and bankrolled by UAE based industrialist BR Shetty, and the movie was launched as well. Now it has been revealed that Lalettan will begin shooting for Randamoozham from this month ending and the movie is being made on a whopping budget of 1000 crores. 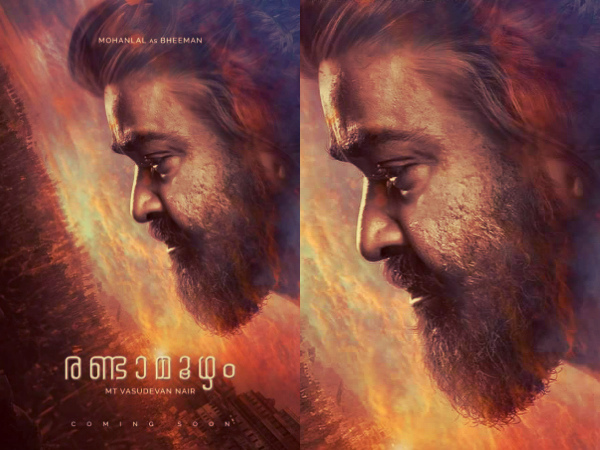 The first part of this duology will release in 2020 and presents the epic Mahabharata from the perspective of the mighty Bheema played by Mohanlal.